The general trend is that along with the passage of time, the value of goods undergoes depreciation. The item is not much of use, any potential buyer is hard to come by and there’s not much of resale value. So longstanding possessions are more often than not discarded and sellers are more than happy to get rid of that old junk. Although this is the general trend, the value of certain items rises tremendously after a certain period, significantly more than their original worth, even when adjusted for inflation. This is when they become collectors’ items and are highly sought after because of their uniqueness, historical importance and sometimes even some mistakes. Below, here are ten of such most valuable collectibles, for which people are ready to break their banks. 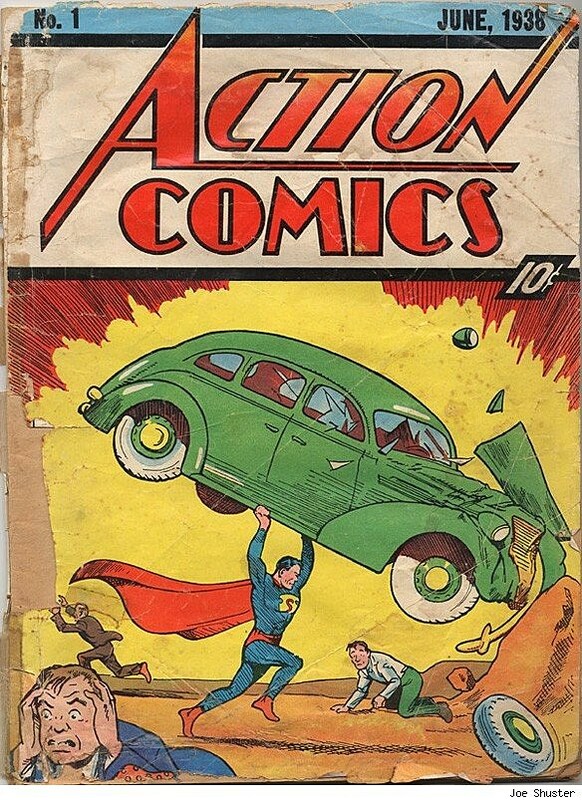 The first issue of the Action Comics series, the Action Comics #1 is the most valuable comic of all time and among the most valuable collectibles across all genres. It spawned several famous comic heroes, especially Superman. It holds important place in comics history as it led to the emergence of the superhero genre. The comic book, created by Jerry Siegel and Joe Shuster, was published for the first time in June 1938. The original price of the book was 10 cents, but when it was auctioned on August 24, 2014, the owners of Metropolis Collections paid a massive sum of $3.2 million. Starring Humphrey Bogart and Ingrid Bergman, Casablanca is a Michael Curtiz classic from 1942. 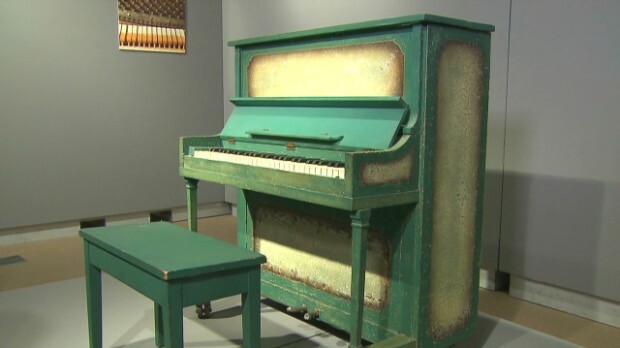 Two identical pianos were used in this tuneful film. Of those two, one resides at the Warner Bros Studio in California and thus is unavailable for any massive sale at the moment. However, the other one is out on the market and is a highly desired collectible especially amongst film enthusiasts. It was sold for $602,500 in 2012. The Gutenberg Bible was written in Latin and printed in the 1950s using the Gutenberg’s printing press. It was a 42-line Bible. It was the first book to be printed in the West using movable type. It was printed in Mainz, Germany by the inventor of the printing press Johannes Gutenberg. The original price is known to be 30 florins, which was about three years’ clerk wages back then. It is estimated that around 48 copies of the book have survived in fragments or totality. They can be expected to cash in between 20,000 and 100,000 dollars. The only item of its kind, the 105 year old Master of Malt carries a whopping price tag of 1.4 million dollars. It is the oldest and second-most expensive whiskey in the world. The story of the whiskey, since its inception, is as remarkable as its price. Around 105 years ago, a terrible fire destroyed the Aisla T’Orten distillery, which had operated just for a day. Only one ceremonial barrel survived the disaster. After spending most of the time in Aberdeen, the then owner Allie Sisell sold the cask to Master of Malt in 2010. In the March of 2011, the 105 years old spirit amounting to 700 ml was bottled by Master of Malt and set at the enormous price. Heralded as one of the most tuneful and stirring national anthems across the globe, the US national anthem “The Star Spangled Banner” is the part of a poem written in 1814 by Francis Scott Key. In December, 2010, the only privately owned copy of the famed sheet music was auctioned at Christie’s for the staggering sum of 506,000 dollars. 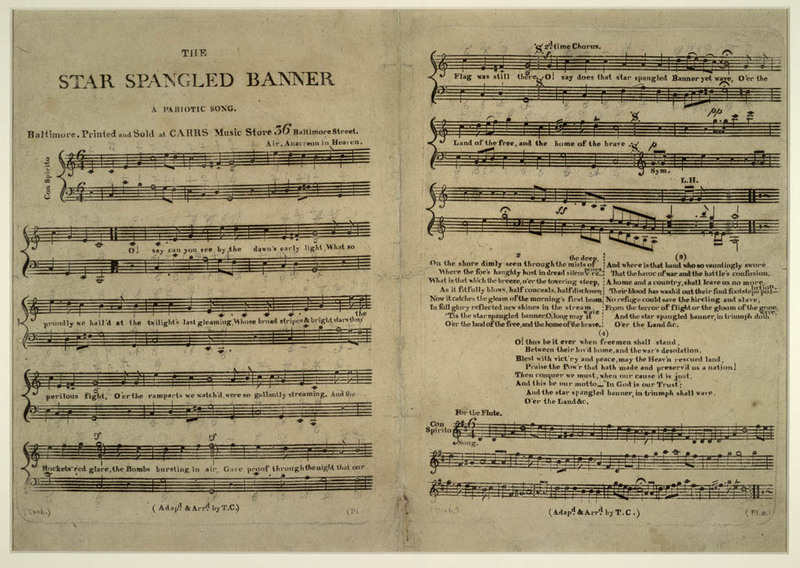 Eleven first-edition copies of this nationalistic tune were created. The remaining ten copies are present under organizational possession. Once, unfamiliar of its identity, the possessor at the time had sold it for just a dollar. The “Treskilling Yellow” holds several records. It isthe world’s most valuable stamp and also the most expensive item per weight. It was issued in 1955, the time when Sweden issued stamps for the first time. 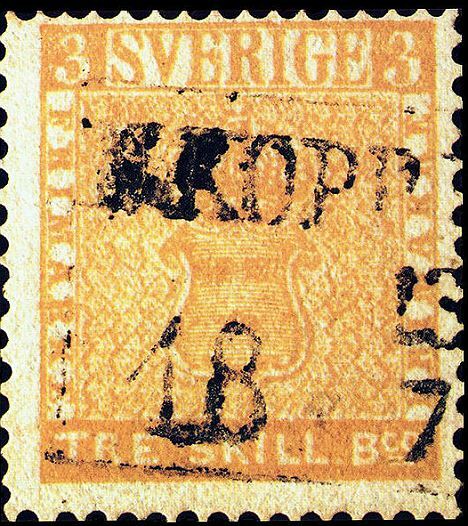 The postage stamps were issued in five different values from three Swedish skillings to twenty-four Swedish skillings with different colors for each of them. The three skilling ones were printed in blue-green while eight skilling ones were printed in yellowish orange. For some reason, some of the three skilling stamps were printed in wrong color. Only one copy of the item has been discovered and thus the piece auctioned for whopping $2.3 million is as exclusive as it can get. William Shakespeare is arguably the greatest writer of not only English language but of them all. His autograph is the most expensive autograph in the world and one of the most valuable collectibles of its kind. Only six copies of Shakespeare’s autograph are known to be in existence now. Three of those are linked to his will while the other three have been linked to the deeds of his house. These autographs are the only available handwritings of Shakespeare as manuscripts written by him have never been known. The autographs are believed to fetch anything between 3 and 5 million U.S. dollars although they’ve never been sold at auction, as of now. Antique jewelries are one of the most valuable collectibles, sought after by the collectors. People travel extensively searching for valuable and unique pieces of jewelries. As stated on the site Georgian Jewelry, Lisa Stockhammer traveled all over the world to become a jewelry expert. Even if you become an expert, you still might not find that one-piece of unique jewelry. The person who discovered the diamond piece of world’s largest diamond necklace happened to do it by virtue of supreme luck. The glittering rose gold necklace is valued at $55 million. The staple piece of the magnificent necklace, the ‘Golden Giant’ diamond is comprised of more than 407 carats and was discovered by a young girl in the Democratic Republic of Congo some thirty years ago. ‘Lady Blunt’ Stradivarius is the most expensive musical instrument in the world now. This iconic violin was made by Italian craftsman Antonio Stradivari in 1721. It has been named after the first known owner Lady Anne Blunt, who was the daughter of Lady Augusta Ada of Lovelace. It is one of the two Stradivarius violins present now, the other being 1716’s Messiah Stradivarius. It was sold on 20th June, 2011 at online auction by Tarisio Auctions for $15.9 million, with the proceeds going to Earthquake and Tsunami Relief Fund in Northeastern Japan. It has almost forever been in the collectors’ hands and as such, hasn’t been used of much. So it’s in near original state. 250 million dollars shelled out for one of Paul Cezanne’s infamous painting ‘The Card Players’ make it the most expensive work of art ever sold and one of the most valuable collectibles. ‘The Card Players’ was a series of oil paintings by French Post-Impressionist artist Cezanne made in the early 1890s. Five paintings are known to have existed in the series, the paintings varying in size and number of players depicted. One painting of that series is the one holding the record after being bought by Royal Family of Qatar in 2011.